Have you started a Facebook page for your blog? Or, worse, you have, but you haven’t touched it in like forever? I have several Facebook pages for several of my sites, and I rarely post on all of them. What I end up doing, though, if focussing on my core pages – the one for Twins Mommy and the one for my freelance writing site. You might be wondering why have a Facebook page for your blog if Pinterest is where it’s at? For me, Facebook is where I can truly connect with my audience. I can talk to them, understand their needs and serve them better. Facebook is more personal and can help you grow your brand as a blogger. People can see your life (if you let them), your challenges or your successes. A Facebook page can help with all of that and more. 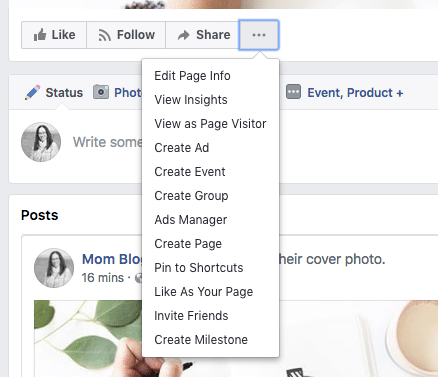 And if you decide to do Facebook Ads, you will need a Facebook page, and that’s something I’m interested in doing later in the year! And, you know what? It’s another platform to grow your traffic and help you make more sales. 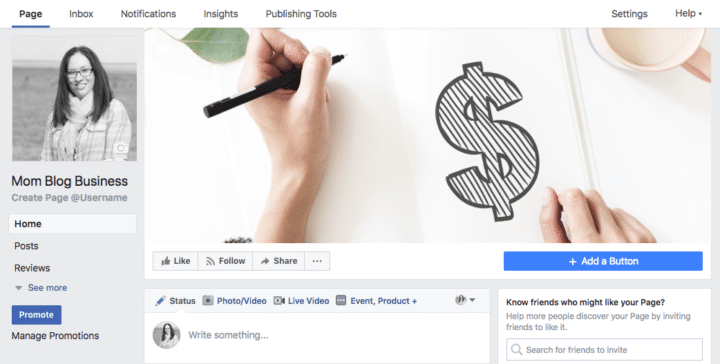 If you’re new to Facebook pages, I’ll walk you through how to set one up and then give you tips on what to post and how to promote your Facebook page. 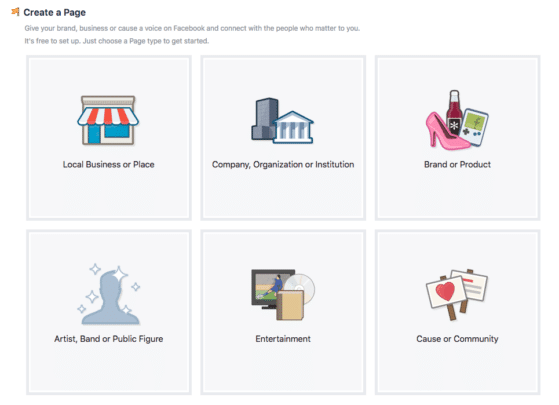 To set up a Facebook page go to their business page set up and click on create a page. Once you click on that, you’ll be directed to choose what type of page you want. This all depends on whether you have a brick and mortar business, Etsy shop, magazine or charity. 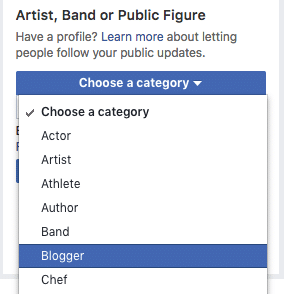 For most bloggers, though, you can choose artist, band or public figure. You will get a drop-down menu asking for more information about you. Choose blogger then choose your page name. I suggest you use your blog’s name or some variation of your blog’s name (like adding your name and blog’s name). Then hit get started. 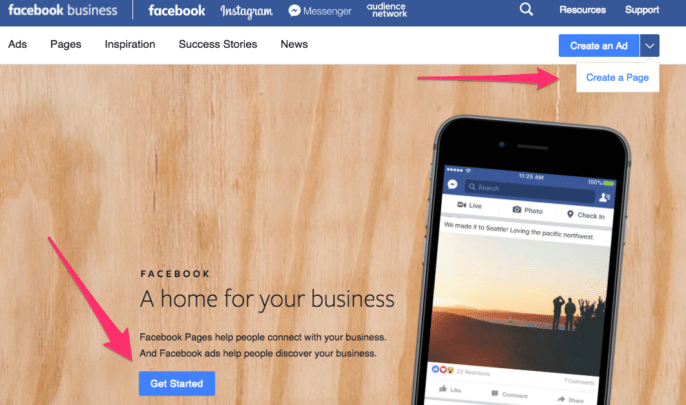 From here, you start building your Facebook page with your branding images! 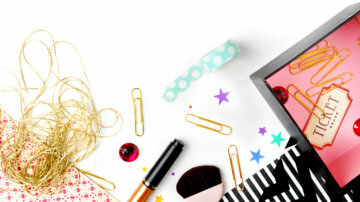 If you need some stock photos for your Facebook page cover image, make sure to check out my post on 18 Places for Free Girly and Styled Stock Photos. Luckily for me, my blog’s name wasn’t taken! 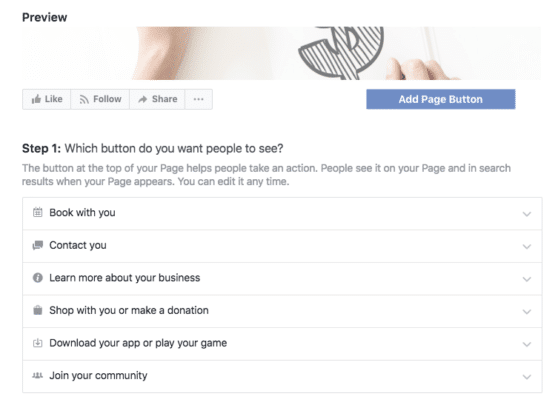 Facebook will direct you to add a description of your Facebook page. From here you can start customizing your Facebook page. If you have started an email list, I suggest you link your freebie to your Facebook page by “adding a button” under your header image. Click on the button and choose learn more about your business. From there, Facebook asks for the website link. Add the landing page of your freebie that you created. If you have a Facebook group, you can link your group to your page, making it easier to get more Likes on your page. Make sure to fill out all the details on your page. Just click on the three dots under your header image. Since the last Facebook algorithm change, getting Likes to your Facebook page has been harder than ever. Organic reach is decreasing, making it harder to have your posts show up in user’s feeds. But, this shouldn’t deter you from starting a Facebook page and growing it. It is possible. 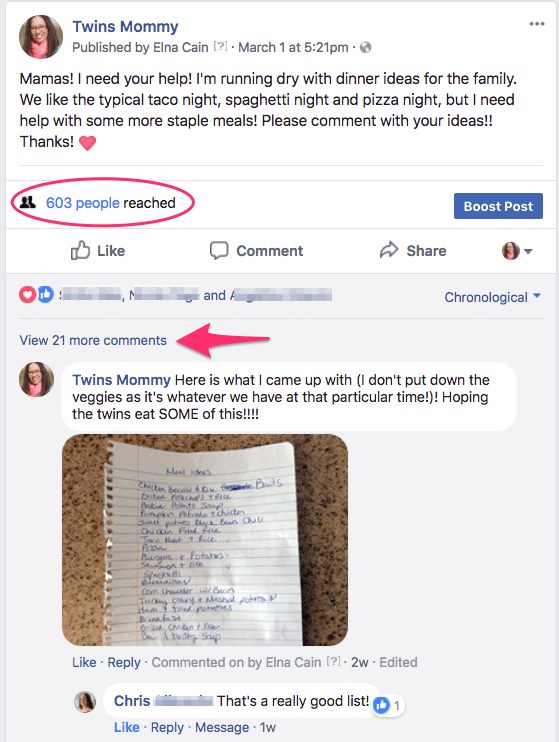 My Twins Mommy page has over 2k Likes, and my freelance writing Facebook page has over 3.2k Likes. 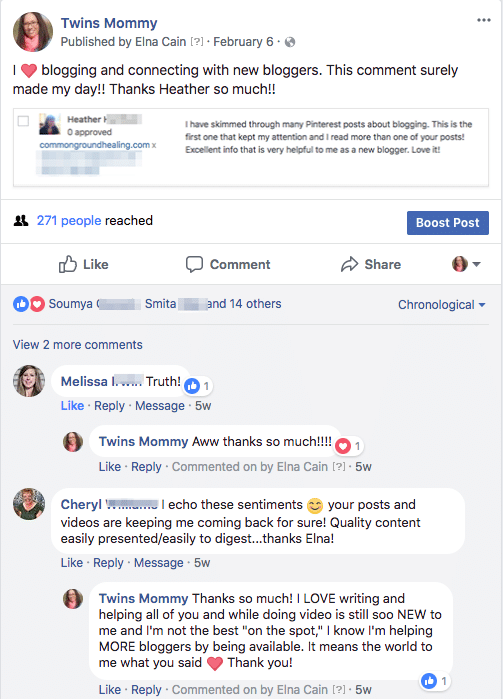 The #1 way I was able to grow so fast – my Twins Mommy page is less than two years old – is from posting daily. I post at least once a day, sometimes up to 3 times a day. My other tip is to be as authentic as possible. People on Facebook want to see what your life is about and if you give them that, your page will thrive! Here are six types of content you can post on your Facebook page to get more reach and Likes. Facebook likes posts where there is a lot of discussions. This means their users are on Facebook longer, something Facebook likes! You can create this type of interaction, by engaging with your followers. One easy way is to ask them to respond with their own photos. This can boost your reach and get people WANTING to comment on your post. These all are factors for Facebook to realize your post is popular and they should show it to more people. 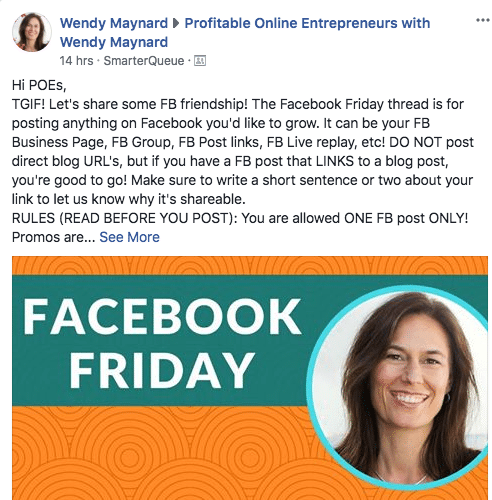 You don’t need to only post your latest blog post or other people’s blog posts on your Facebook page. If you do, you run the risk of having a low engagement Facebook page. Instead, create social media posts just for Facebook. One way I do this is by posting a tip to help my followers. I also create a graphic with my post. Scared to do a Facebook Live? I was the same way too. Heck, I still get nervous, and I still am not perfect with my Facebook Lives. But, you know what? People still watch, and they enjoy my Lives! So I’m happy, and I like doing them. And Facebook LOVES when you do Facebook Lives. The more you can do, the higher reach you’ll get and more Likes you’ll receive. I want to do more Facebook Lives, but they take a bit of time for me. I’m an introvert so after I’m done with one, I’m zapped for energy, and it’s hard to get back to work. If you’re not ready for Facebook Lives, that’s okay. You can still grow your Facebook page by posting videos. I do this occasionally to get more engagement on my posts (shares and comments). 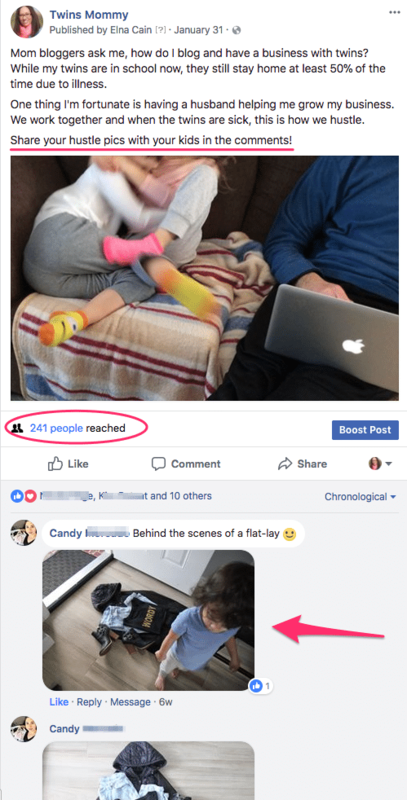 Something I learned is if I sometimes treat my Facebook page as my Facebook personal profile, I get a ton of engagement! This means posting with no images and asking a question. Sometimes posting social proof of your credibility or your brand’s credibility can open some discussion from your brand ambassadors, and die-hard followers. There are several ways you can grow your Facebook page. 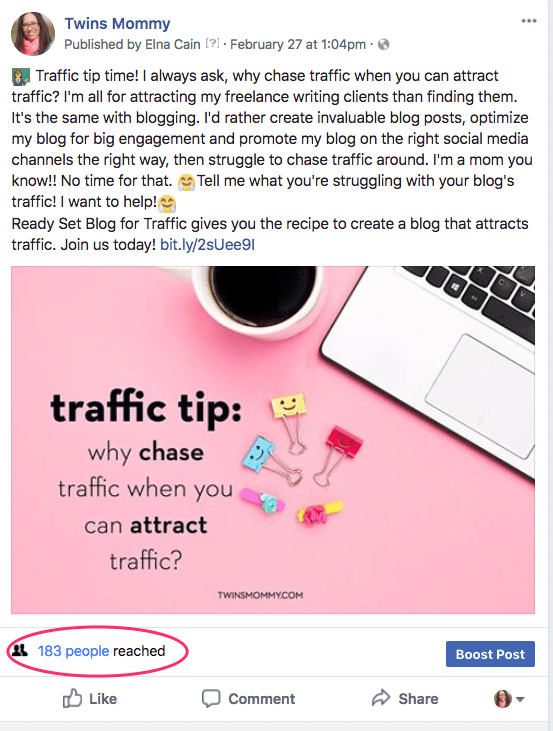 While you can pay for traffic, for a lot of bloggers this isn’t in their budget or right for them at this time (i.e., you need an email list with an effective sales funnel before you invest in Facebook Ads). Here are four ways to promote your Facebook Page. If you started an email list, the easiest and best way to start growing your Facebook Page is to let your subscribers know about it! When I created my Twins Mommy Facebook page, I made an entire email about that. You can also add a link at the end of your email and tell your subscribers: make sure to Like my Facebook page for more Lives and insider tips. What’s to say you can’t link to your Facebook page in your blog posts? I often link to my Facebook group in my posts, but I could easily link to my page instead. There’s no shame to promote your page in your blog posts or even on your blog! Many Facebook Group threads have a follow day or a promotion day where you can promote your Facebook page. This is an easy way to get at least 100 Likes! For example, here’s Wendy’s group’s daily thread! When posting your Facebook page, I would give a little description of what your page is about instead of just dropping your link. This makes your post stand out and really talk to the people reading the comments! Whether you have a free email course or paid product, you can promote your Facebook page. This is something I recently did with a tripwire masterclass I offer on my Elna Cain blog. If you have a free email course, you can add your Facebook page link in the welcome email or at the end of your free course! Having a Facebook page is essential if you want to start making money from your blog. It’s a great way to connect with your readers, provide valuable tips and grow your brand! Please share your Facebook page! I’d love to follow you! I am just starting my Facebook page, so this is GOLD for me! Thanks so much! That’s awesome! Glad you found these tips to help you grow your Facebook page good for you! Once again you’ve given me just the information I’m needing when I need it. I’m currently taking a FB Makeover Challenge with Courtney Foster Donahue and this compliments it perfectly! I will take these tips and suggestions and run with them. I’ve had a business FB page for a while, but I really need to step up and start using it. Now I have what I need to do just that. My FB handle is kristideewriter, and I’d love to see you over there! Thanks for these tips some I already knew but you provided me with good insight. That’s great you found some more insight for tips you already knew 🙂 That’s always a good thing! These tips are great! I’m a new blogger and after setting up my social media pages, I quickly realized I have no idea how to use them! ha I will try and implement some of these tips for sure! I know right? I did the same for Instagram! I was like, now what? 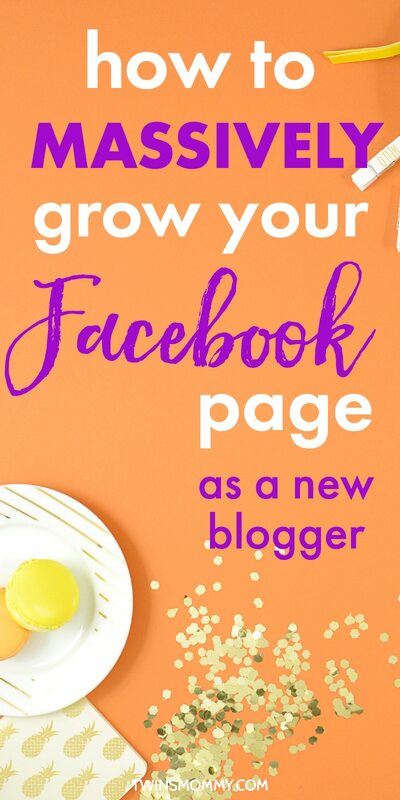 I’m glad you found some tips to help you create your Facebook page as a new blogger! Hi Elna, thanks for these great tips. I have been struggling with Facebook for a while now as I didn’t know how to grow it, but will definitely take these tips on board. You’re welcome. So glad you found some tips to market your Facebook page! And you know what? 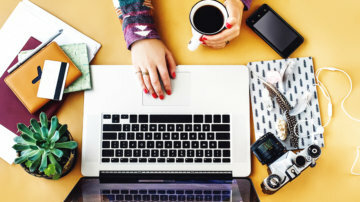 A lot of these tips are easy to do if you’re new to blogging! Thank you for sharing:) I found the 6 Types of Content to post on Facebook to be very insightful! I’m new to blogging (launched this year on the first day of Spring), Hopscotch Mom (thanks for giving me the opportunity to share), sharing tidbits of all things parent and child related. 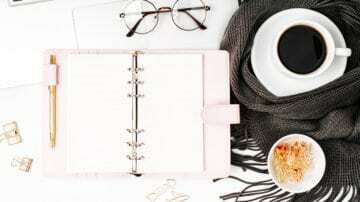 I really appreciate you sharing your experience as a professional mommy blogger and freelance writer to us, new mommy bloggers. Thanks so much! Congrats on your new blog! 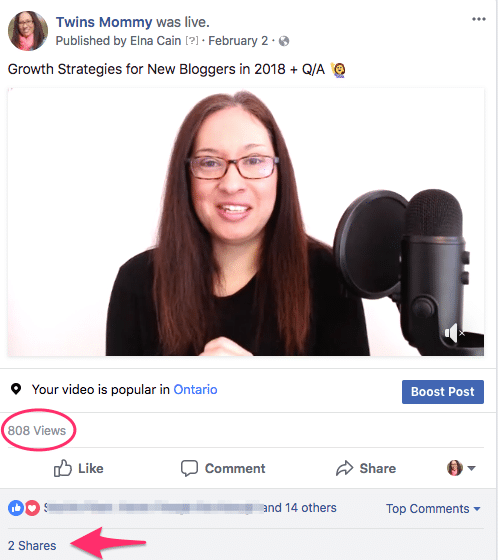 Glad you enjoyed this post and my other SEO post 🙂 Good luck with growing your Facebook page! 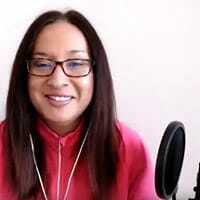 Hi Elna, I was reading your latest post (because they are always so helpful!) Imagine my surprise when I saw my face. LOL! Thanks so much for including it as a best practice. By the way, I have been getting good engagement on my FB page. I ask a lot of questions – people love answering questions about themselves. I just tried your dinner idea out of curiosity since I haven’t tried asking people to help ME before. I’m excited to find out how they respond. Thanks so much for the ideas!! Thanks so much! And you’re welcome 🙂 That’s fantastic you’ve been getting engagement on your page. Yes, asking questions is a simple, yet effective way to grow your FB page engagement! I like your tips here. They are very helpful to grow a Facebook page from the ground up. It’s important to take good care of every detail on your Facebook page. From the images, you use for branding to the type of posts. I’m still learning to grow my Facebook page for my internet marketing blog. It’s a work in progress. I have to start implementing the engaging type of posts you talk about here. That is a great way to boost engagement with your audience. You already know my blog’s Facebook page! 🙂 I always share your valuable content there! Thank you so much! Yes, growing your Facebook page after the recent decrease in organic reach is a struggle. But, I feel if you continue to post engaging and valuable posts, you’ll get the likes and shares! Thanks again for thinking of us newbie bloggers and creating a mercifully simple guide. Aww thanks! That’s a good think that most of your traffic is coming from Pinterest. Over time you will see your traffic diversify over different platforms. Can’t wait to see and Like your FB page!